Dr. Lewis E Sellers III, MD is a Doctor primarily located in Anniston, AL. He has 49 years of experience. His specialties include Surgery. He speaks English. The overall average patient rating of Dr. Lewis E Sellers III is Excellent. Dr. Lewis E Sellers III has been rated by 3 patients. From those 3 patients 2 of those left a comment along with their rating. The overall rating for Dr. Lewis E Sellers III is 5.0 of 5.0 stars. Dr. Sellers made me feel very comfortable about asking him my questions. He was very professional in his responses. It was nice to see a doctor with as much experience as Dr. Sellers who took the time to explain what was going on with my condition and who gave me several options to choose from. My procedure went well and now I feel great. Take a minute to learn about Dr. Lewis E Sellers III, MD - Surgery in Anniston, AL, in this video. Dr. Lewis E Sellers III is similar to the following 4 Doctors near Anniston, AL. 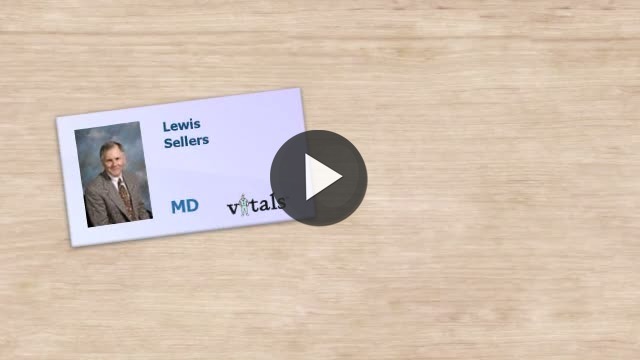 Have you had a recent visit with Dr. Lewis E Sellers III? Select a star to let us know how it was.